Lady Pilots Head Coach Curtis Loyd. Story by Courtney Randle. 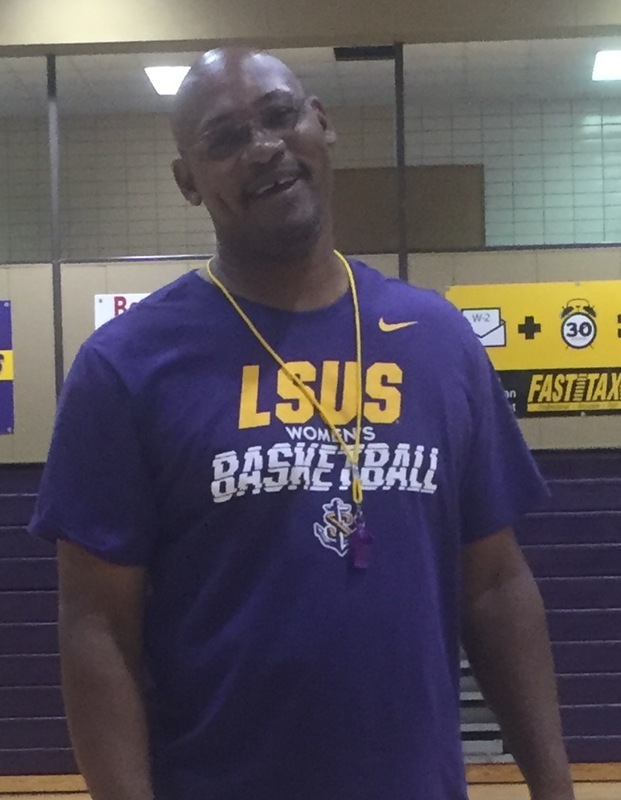 The LSU Shreveport women’s basketball team introduces new head coach Curtis Loyd during the 2016-2017 season. With 19 years of experience as an assistant coach with the Division 1 level, Loyd is ready to put what he has been taught into the success of his own team. With this being his first year he feels that he has the tools to help build a championship team. “Athletic Director Lucas Morgan saw the same vision as taking the program to a new level- making it a constant place to win championships and help student athletes outside of basketball,” Loyd said. Loyd is concerned about how LSUS athletes perform on and off the court. Making sure each student athlete obtains a degree is his highest priority. Loyd wants to build throughout his team a hard work ethic, confidence, trusting their teammates and being positive role models for the next generations. Last year the Lady Pilots finished 21-9 overall and 13-5 in the Red River Athletic Conference. The Lady Pilots kick off the 2016-2017 season against Lyon College Nov. 11 at 7 p.m. at the Dock.